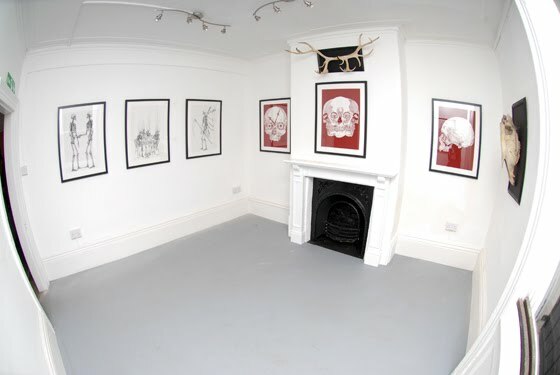 Brittish illustrator French has recently opened a new exhibition of his work at the Archipelago Works gallery in Sheffield. 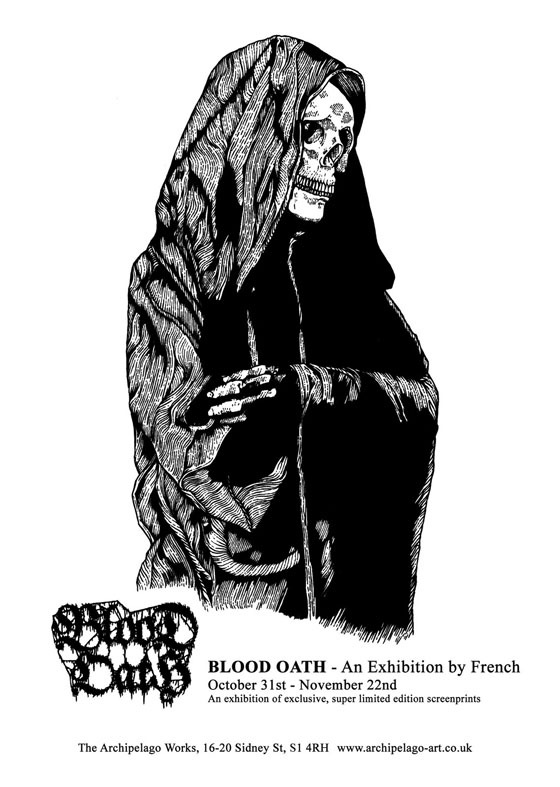 French has worked with a number of clothing brands including Mishka and UK’s Lovenskate – now he presents his first exhibition of hand-pulled screenprints, Blood Oath. 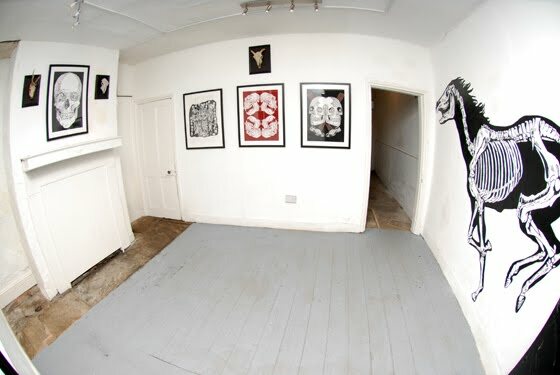 The exhibition is open until November 22nd, so you still have a few weeks left if you wish to make the trip. 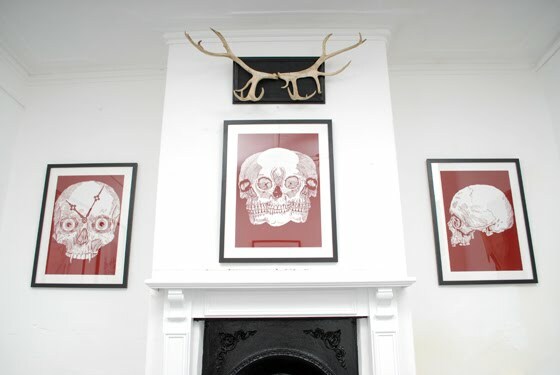 French is one of my favourite British artists right now and these new prints are, in my opinion, some of the best yet. All of the prints featured in the exhibition are available for purchase from the Archipelago site, hand signed and numbered out of six. Head on over and grab yourself a truly special piece now. More on French here.